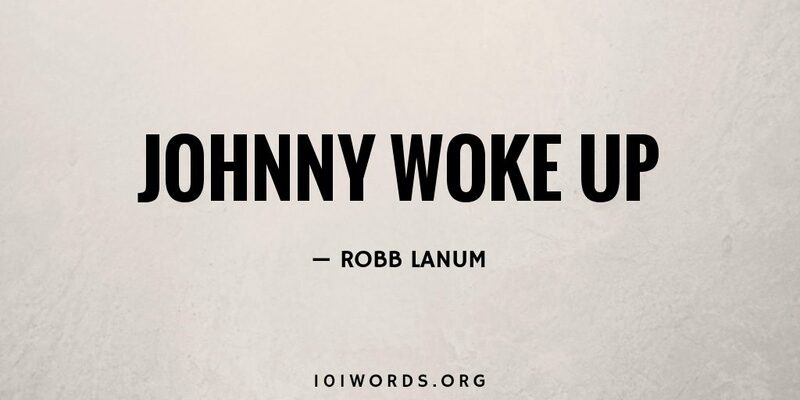 Little Johnny woke up one morning and he was a grown-up. Sally from preschool was there and grown up too—they were married. She told him to get dressed and shave and leave for work. It was weird. All day, people talked to Johnny like they knew him. Gina from accounting closed Johnny’s office door and sat on his lap and started kissing him. It started out really gross, but when she finished he didn’t want her to stop. Arriving home that night, Johnny found a pistol in his glove compartment. Sally called him in for dinner. Well done, Robb. Great final line! A surreal, mind-blowing story. Loved it! Right. That’s other level thinking. Really enjoyed this one – sorry I didn’t catch it sooner.